Keppel Corp. reported on Thursday that its fourth quarter swung to a net profit of S$135 million, from a year-ago loss of S$492 million. Singapore Exchange reported on Thursday its fiscal second quarter net profit rose 9 percent on-year to S$96.5 million as an increase in derivatives revenue more than offset declines in the equities segment. 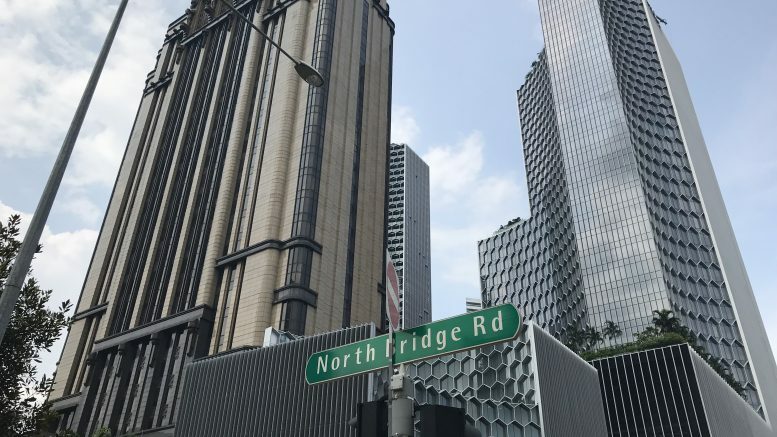 Keppel-KBS US REIT reported on Thursday fourth quarter net property income of US$14.64 million, which was 7.7 percent above the US$13.59 million forecast from its IPO prospectus. SATS said on Thursday it entered two joint venture agreements in China. The first is a Daxing Ground Handling JVCO in Beijing to provide ground and cargo handling and related services at Beijing Daxing International Airport, it said. SATS will take 40 percent of the joint venture, which will have total registered capital of 265.77 million yuan, or around S$53.3 million, and Capital Airports Holding (CAH) will hold the remaining 60 percent, it said in a filing to SGX on Thursday. The second joint venture is Daxing Catering JVA to provide inflight catering and other related services at the same airport, it said. CAH will hold 80 percent, Juneyao Airlines will hold 10 percent and SATS will hold the remaining 10 percent of the joint venture, which will have total registered capital of 300 million yuan, or around S$60.1 million, the filing said. Home appliance and furniture retailer Courts Asia said on Thursday it has appointed KPMG Corporate Finance as its independent financial adviser to advise its independent directors on the takeover bid it received last week from Nojima Asia Pacific, a subsidiary of Nojima Corp.
Sheng Siong subsidiary Sheng Siong (China) Supermarket entered a lease agreement for its second store in China, which will be based in Kunming, it said in a filing to SGX on Thursday after the market close. The store is expected to be operational before the end of the second quarter of this year, it said. That will bring the group’s store count to 54 in Singapore and two in China, for a total of 56, it said. Interra Resources said on Thursday its 60 percent-owned joint venture Goldpetrol completed development well CHK 1213 in the Chauk oil field in Myanmar as a significant oil producer. CHK 1213 has been completed for 194 barrels of oil a day after four days of production testing, making it the second well completed as an oil producer in Myanmar so far in 2019 and the highest producing well in the Chauk field, Interra said. Interra has a 60 percent interest in the Improved Petroleum Recovery Contract of the Chauk field, it said.